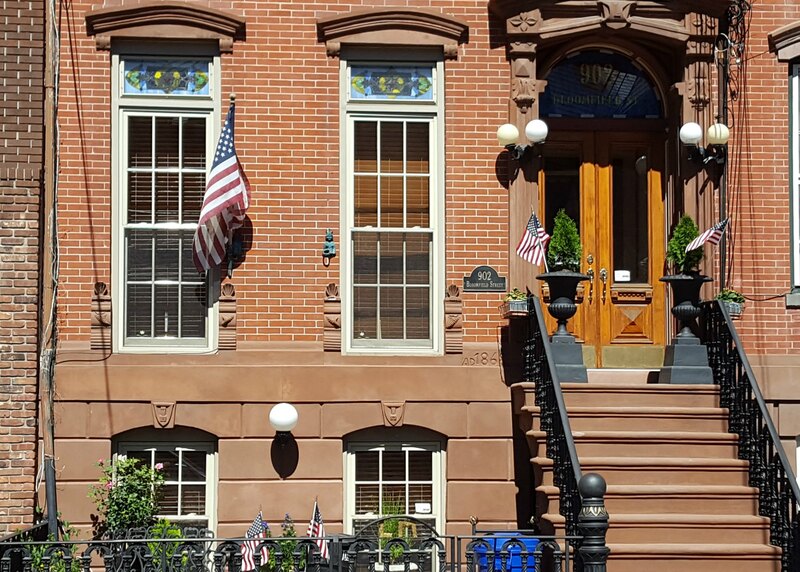 This 1 bedroom plus office home is located in a well-maintained historic building and is a perfect mix of Hoboken charm and modern finishes. Features include hardwood floors and high ceilings throughout. The large eat-in kitchen is completely renovated with dishwasher. Located on great uptown Bloomfield Street, just one block off of Washington Street and close to shopping, dining, and transportation. Bus stop at corner and ferry a few blocks away. Garage parking around the corner, 1/2 block away. Easy access to Lincoln Tunnel, uptown movie theater, Routes 495, 3, 95 (Turnpike). Laundromat located at corner of block.